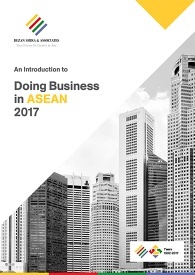 Once a vibrant industrial sector, Thailand’s motorcycle manufacturing industry is showing signs of saturation in recent years. 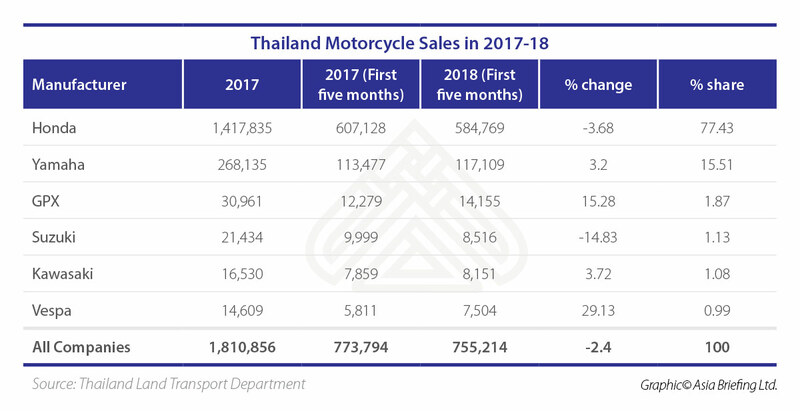 According to data from Thailand’s Land Transport Department, the country’s motorcycle market declined to 755,214 units sold over the first five months of 2018, a drop of 2.4 percent from 773,794 units sold over the same period in the previous year. As in the recent past, Japanese automotive giant Honda dominated the Thai motorcycle market in the first five months of 2017, selling 584,769 units. However, the figure was a drop by 3.68 percent from 607, 128 units sold over the same period in the previous year. Closest rival Yamaha, however, managed to register a growth of 3.2 percent from 113,477 units sold during January-May 2017 to 117,109 units sold between January and May this year. On the other hand, the sales of another Japanese automotive major, Suzuki fell by 14.83 percent with only 8,516 units sold in the first five months of 2018 compared to 9,999 units sold over the same period last year. Kawasaki, another important Japanese player, however, registered a 3.72 percent growth selling 8,151 units in January-May 2018 as against 7,859 units sold over the same period in 2017. The only major European player in the market, Italian manufacturer Vespa registered a significant 29.13 percent rise in sales, with 7,504 units sold. The company could sell only 5,811 units in the same period last year. On the other hand, local Thai brand, GPX continues to register steady growth with 14,155 units sold in the first five months of 2018. This was a 15.28% growth from the 12,279 odd units sold over the same period last year. According to the Federation of Thai Industries, Thailand’s motorcycle market is expected to maintain near status quo, with 1.8 million units projected to be sold in 2018, a figure that is at par with the previous year’s sales. 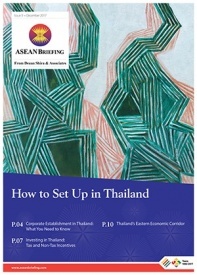 Industry insiders have attributed this to the static purchasing power of the country’s low-income workers, who form the main customer base for Thailand’s motorcycles.